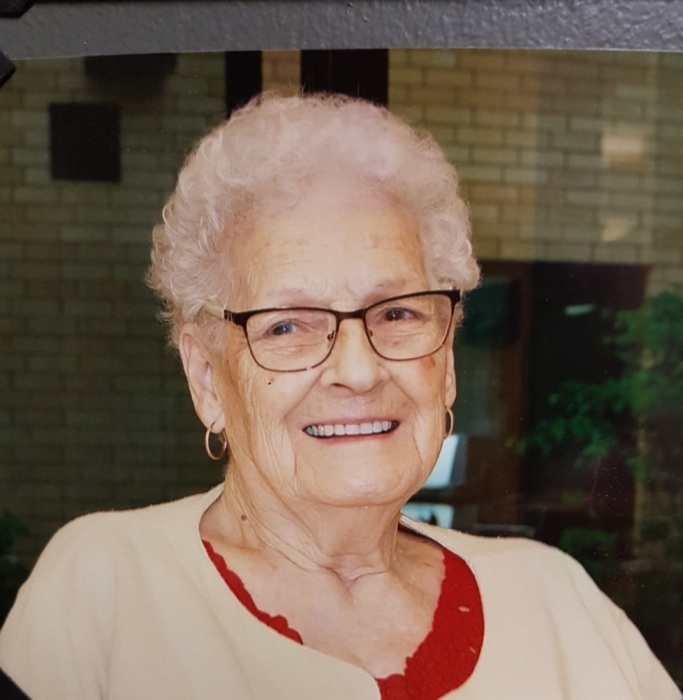 It is with great sadness that the family of Ada Lessard announce her passing, on November 30, 2018. She died peacefully at the age of 91. She is reunited with her husband Donat (2006). She is loved dearly by her sons; Denis (Catharine), Robert (Catherine), Yvon (Diane), Maurice (Elizabeth), Gilles (Colleen), Marcel (Tracey), Roland (Beverley) and her daughter Marianne (Maurice). She will be missed by her 22 grandchildren and 19 great grandchildren. Dear sister of Rhéal and François (Doris), Predeceased by her parents Donat and Marie-Louise Cousineau, 2 brothers Victor, Trefflé and 6 sisters; Lucille, Violette, Gilberte, Carmen, Louise and Louisette. Family would like to thank the Royal Rose Management Group and particularly the Robinson Team for their compassionate care and the dignity and love with which they treated Mom to her very last day. The family will receive relatives and friends at the WELLAND FUNERAL HOME 827 East Main St., Welland on Tuesday, December 4, 2018 from 2-4 p.m. and 6-8 p.m. Funeral service will be held at Paroisse Sacré Coeur on Wednesday, December 5, 2018 at 1 p.m. Interment will follow in Holy Cross Cemetery. As an expression of sympathy, donations to the Canadian Cancer Society will be appreciated by the family.